I have a pretty cool dentist. I think they are unfairly treated with fear from the common public and wanted to throw out a kudos for mine. Although, until he agrees to advertise on my little slice of the Interweb, I am not going to mention his name. Boys and Girls, it is important that you take care of your choppers, or you might be in for a big surprise one day. I was awaken, I did not wake up feeling relaxed, but was awaken by the pain of a tooth falling apart. I really mean falling apart. 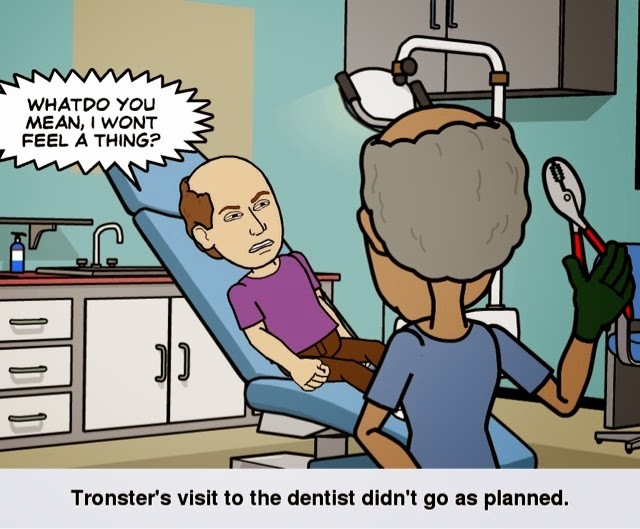 I did not like going to the dentist, because it is always a painful experience. 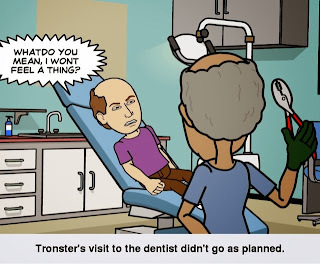 Then a friend told me about my current dentist and I went to see him. He cleaned me up and fixed the pain. (By fixing, I mean extracting) and now all is good and I visit him every six months to check out all the new stuff I paid for in his office. 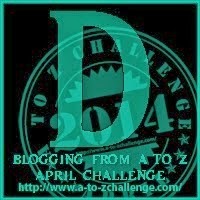 This is another pre-recorded posting for the A to Z challenge. Enjoy the rest of your day.